So, You Are Thinking About Buying a Telescope? As a family of telescope enthusiasts, we've spent years testing, comparing, and arguing about what makes the best telescope... And these spirited optical debates may never be fully resolved. So why are you asking us for advice on buying a telescope if we can't even agree? Choosing a telescope is like choosing a pet. - Why do you need one? - low maintenance or high maintenance? If you are considering buying a telescope for somebody else put as much thought into what will work best for that person as if you were buying them a pet. Don't Panic! Even an imperfect pet/telescope can provide a lot of happiness. Just realize that when well-matched to the individual, years of pride, companionship, adventure, and amusement will follow. Kevin's favorite telescope is "Moby" the BIG & regal, but dumb & clumsy, Newtonian that few others can command. Naturally Kevin's favorite pets have always been Great Danes. Kevin loves how both kinds of beasts can go from dormant to fully operational in less than 30 seconds. Sure sometimes clean-up after such a pet/telescope requires an entire can of Spotshot and a whole roll of paper-towel, but that's a small price to pay for the satisfaction he gets from showing-off his spectacular dog and telescope -- transforming initial apprehension into long-lasting affection. Though Paul can operate and repair any telescope, he's an astrophotographer, so he requires levels of optical precision most are not willing to strive for. Paul prefers Schmidt Cassegrain Telescopes (SCTs) because he also enjoys the high maintenance, and aesthetically pleasing hobby of saltwater aquariums. Jan is good with all kinds of pets, and she is primarily a cat-person (still 100% human, she just really likes cats) because like her, cats are independent and low-maintenance. Jan's choice of scope is the easy to setup and just point in the general direction, long and skinny tube telescopes known as refractors. Cats and refractors seldom need cleaning and neither ever need to be collimated -- unless you somehow manage to drop one and it doesn't land on it's feet. Erik travels a lot so he doesn't want anything that will tie him down. Erik's "pets" are wild birds. He has a HUGE collection! Perhaps you've seen some of it before? He keeps them on or around the seven continents of Earth. :-) Because he's an avid birder he knows a lot about binoculars and spotting scopes including how to use such highly portable and versatile optical devices for surprisingly rewarding stargazing. 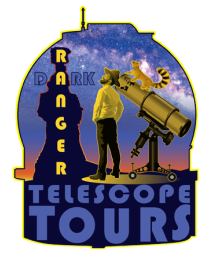 Glean what you can from below, but if you are serious about getting an "optical companion" you should join us for a private telescope tour, so you can tell us a little bit about who you are, so we can suggest something specific to you. More importantly you'll get some invaluable hands-on experience and practice with the variety of telescopes we have and are willing to share. Just like the chance meeting of what becomes a beloved pet sometimes the telescope will actually pick you.